All boys that participate in our league must wear proper lacrosse equipment. The equipment shown in the picture is required, except for the rib pads, which are optional. 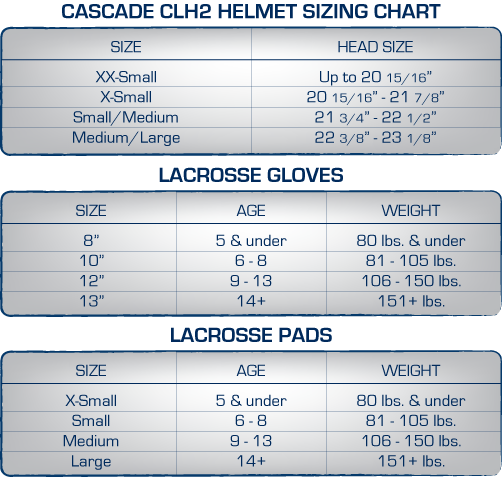 For helmets please use the below chart as a guideline only. For a true fit please try on the helmet at a lacrosse store.